Lentz four cylinder, double compound, engine with Klug's valve-gear. 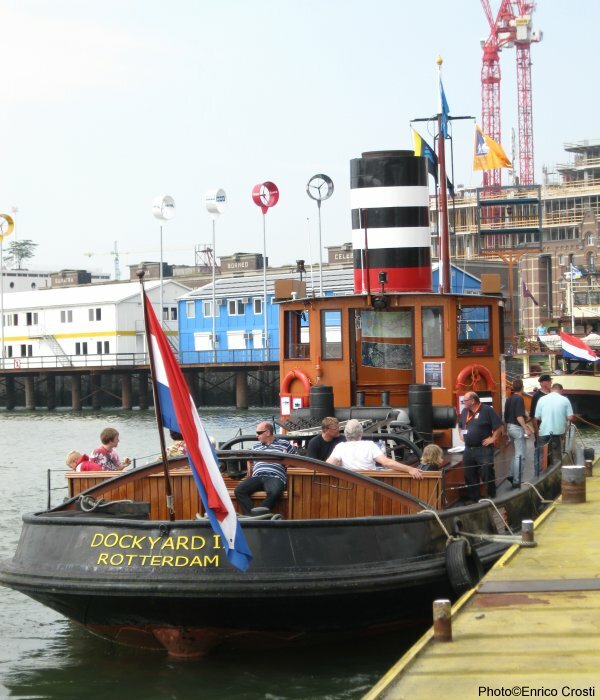 Steam Tug Dockyard IX moored. 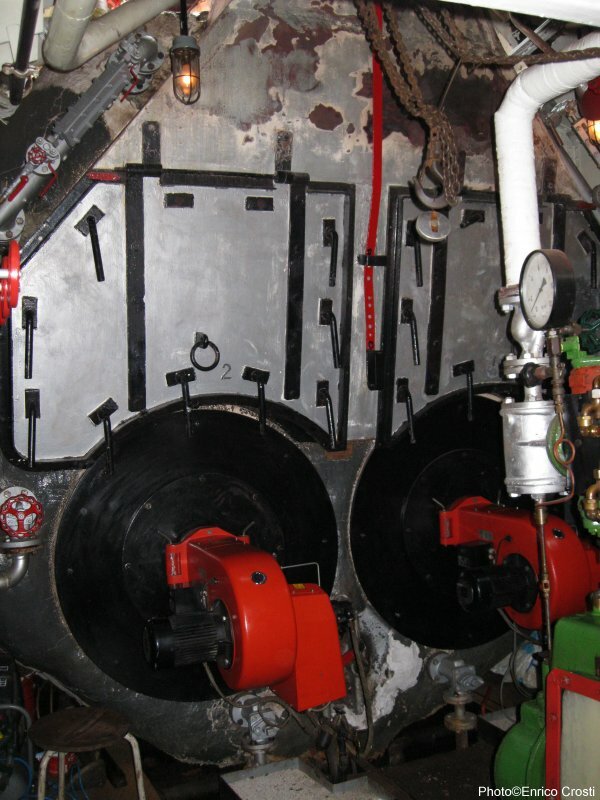 Steamship Dockyard IX boiler with two fuel pressure atomizing burners. 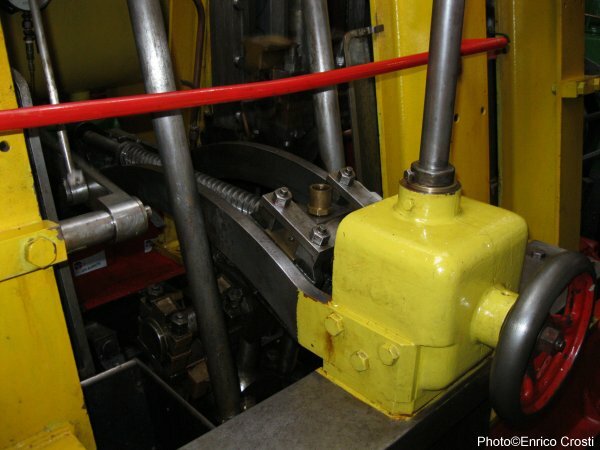 The Lentz steam engine system consists basically of two classic compound steam engines connected after each other with the HP cylinders in the middle and the crankshafts shifted 90°. This gives a four-cylinder engine with a smooth ride and no starting problems. 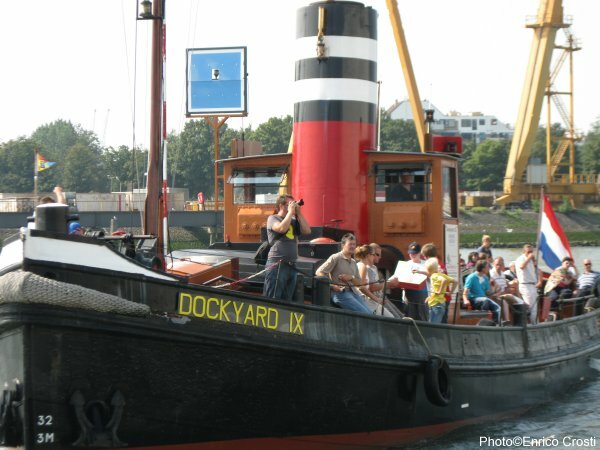 Steamship Dockyard IX manoeuvering place. Klug's valve-gear is used to control the poppet valves for steam distribution to the cylinders. 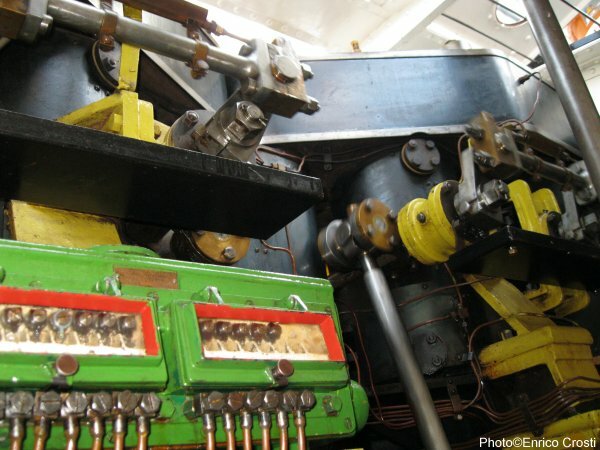 The rightmost bar on the picture is a link for manoeuvering of the engine's valve-gear from the bridge.